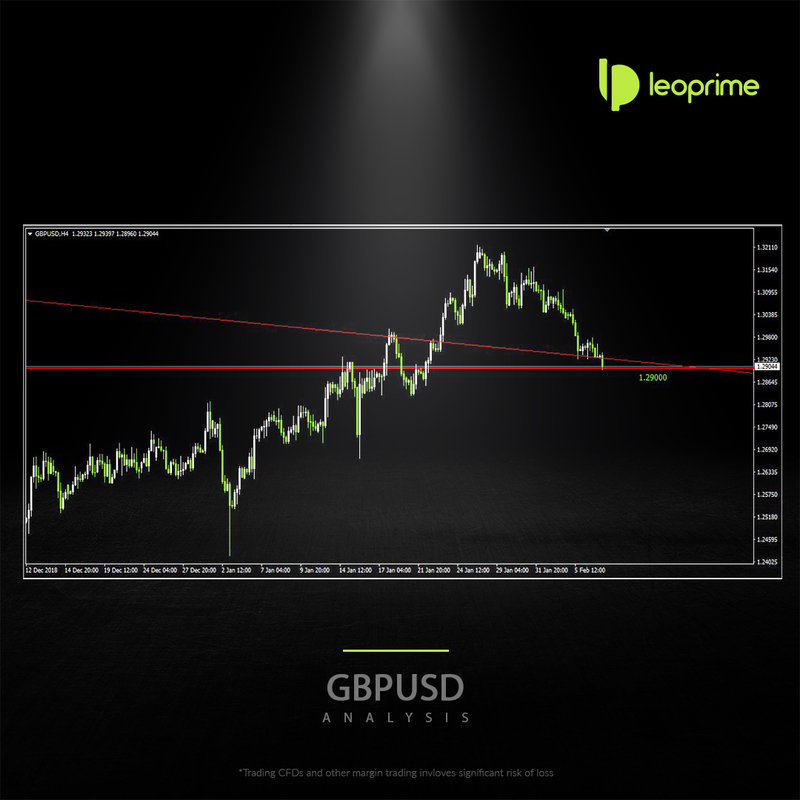 GBP focusing on BoE Interest Rate followed by Quarterly Inflation report later today ! GBPUSD continues is bearish rally for the 6th consecutive day by breaking the Upper Long term trend line. Though GBPUSD had hardly 10-15 pips movement in today’s Asian Session, the bears managed to break the consolidation and move further south, targeting to pass through 1.2900 barrier. The BoE decision is scheduled to be announced at 12:00 GMT, which will be accompanied by the release of monetary policy summary and the Quarterly Inflation Report (QIR). A break through below 1.2900 barrier for the bears have the potential to continue its trend further down till 1.2800. On the other side, 1.29100 can also change in favor of the Bulls, targeting for a break after 1.30000 psychological region and further north-side.